Sussex Health Care is an independent company providing care homes and support services based primarily in Sussex. 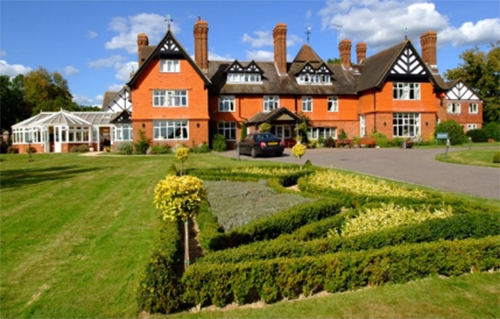 The 20 homes run by the organisation offer a range of services focusing on care for older people (including people who are mentally frail with dementia or Alzheimer's Disease) and on specialist care for adults with physical or learning difficulties (including people with neurological disabilities). All of our homes are staffed by highly trained and dedicated carers and most offer specialist nursing care 24 hours a day. Most of our facilities are purpose-built and have been designed to offer the latest technologies and therapies in a peaceful and homely setting. We pay great attention to the overall quality of life at our homes - meals are thoughtfully prepared using fresh, local ingredients and our service users have access to a wide range of activities and educational opportunities both in the on-site facilities and in the wider community. Originally set up with just one home in 1985, the group now provides over 580 beds and is a leading provider of residential and nursing care in the Sussex area. Throughout this growth our underlying philosophy has remained unchanged: to provide the highest standards of physical, emotional, spiritual and social care that recognises the needs of individuals. We enable our service users to live as full a life as possible with skilled support in a comfortable and safe environment that fosters dignity, self-respect and independence. All our homes provide accommodation, meals, social and person-centred care in a welcoming homely environment. Most provide skilled nursing care 24 hours a day for people with more complex medical needs and several have specialist facilities and support for people with dementia. Physiotherapy, occupational therapy and reflexology are available on request and Sussex Health Care have access to a wide range of other therapies where appropriate. Our homes offer person-centred care for people (including younger people) with learning and/or physical disabilities. Most homes provide skilled nursing care 24 hours a day as well as a range of specialist therapies and purpose-built facilities including track hoisting, multi sensory rooms and spa pools. We are also able to offer specialist care for people with neurological disabilities. All our homes can offer respite care and short breaks at all times. Our homes can provide sensitive care for those who are chronically or terminally ill. The homes work with local specialist services to support the Gold Standard Framework for End of Life Care, ensuring a compassionate, specialist approach to the control of pain. Don’t miss out on any opportunities from Sussex Healthcare.